“Life’s tough. Nobody said it was going to be easy,” Dragovich told students Tuesday at Howland High School during a “Faces of Heroin” presentation. Dragovich is former post commander for the Ohio State Highway Patrol who is now chief deputy for the Trumbull County Sheriff’s Office. But Dragovich “never thought for a second I would be in the position I am now,” he said. Dragovich told the students about his two sons. “There’s a whole world out there for you to see. And I can guarantee you this: You will not see it through the end of a needle, at the end of a bottle or through substance abuse. Two years ago, his brother, mother and father-in-law all died within about five months of each other. Part of the Faces of Heroin program over the past three years has been poster boards placed throughout the seating areas among the students. Each of the 10 poster boards contained photos and information about a Howland graduate who died from a drug overdose. Speaker Doug Walker, 30, knew and hung out with all 10. “I’m very blessed to be here,” he said. Walker has been sober since January 2014. 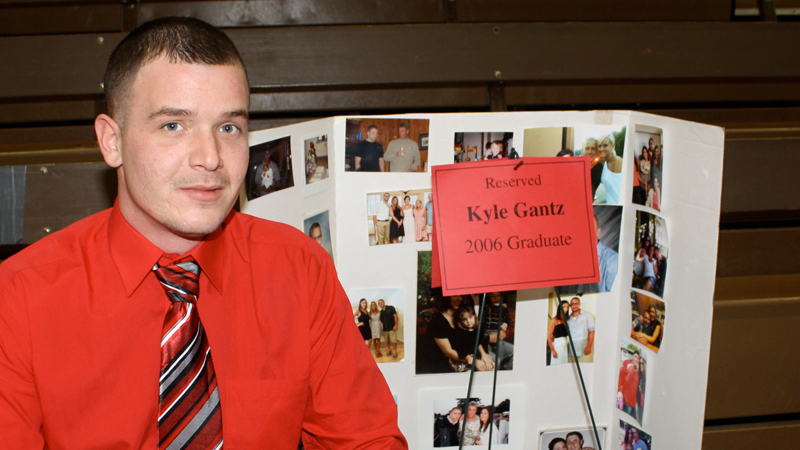 He graduated in 2005 from Howland High School. “I used heroin for quite some time,” he said, adding that addiction killed his daughter’s mother in February 2012. “Four years ago, I was a lying, cheating thief,” he said. Four years ago, his family kicked him out, “and it’s the best thing they could have done,” he said. He spent his time in places such as a hospital and homeless shelter. A friend took him to Cleveland to get help. “From that day on, I had to change everything about me except my name. That’s a fact. I just got a power greater than myself. I trusted God. I helped others and my life today is great,” Walker said. Love hearing positives and knowing peole are sharing! Thank you!